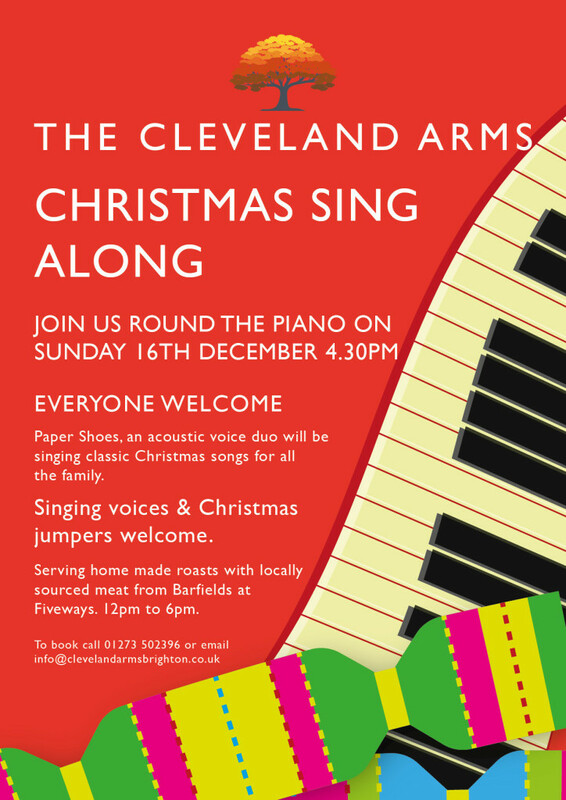 Join us at The Cleveland Arms for a Christmas sing-along on Sunday 16th December at 4:30pm. All welcome to join in a festive sing-along with 'Paper Shoes' an acoustic duo. Festive Jumpers very welcome and tables available for lunch between 12pm-6pm.